Our Summary: Clean crisp taste every time, plenty of room to add ice cubes, easy to handwash with a bottle brush (the painted bottles aren't suitable for the dishwasher). 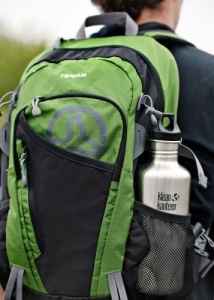 The 40oz is perfect for a day trips out, or a busy on-the-go lifestyle and will keep you hydrated all day. 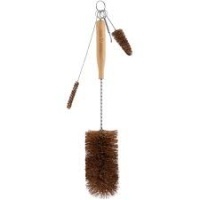 Eco-friendly and will last you a lifetime if you don't lose it! 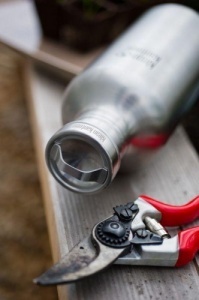 The stainless steel Classic 40oz water bottle is a favorite for outdoor enthusiasts, and anyone who takes hydration seriously, due to the large capacity and light weight. Crafted from high quality, durable food grade stainless steel with single wall construction which is perfect for hydration and keeping drinks cold in the cooler or fridge. 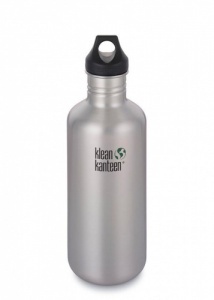 Available with a leak proof loop cap and all are compatible with a Klean Kanteen sports cap. Comes with a BPA free polypropylene loop cap but can be interchanged and used with either a Polypropylene #5 sports cap or stainless steel loop cap. Perfect bottle to carry around , really light, keep me hydrated for at least half of the day , wouldn't switch it for any other. Purchased the 18oz a few years back and now that my partner plays tennis this seemed the obvious choice for him also. 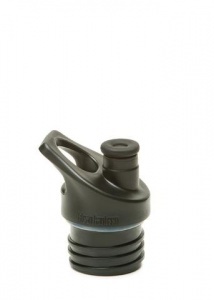 He loves it as water stays cools and I love an environmental friendly bottle. Prompt ship by Siobhan. Love this company!